Smethwick Photographic Society run an annual photographic exhibition which in 2014 celebrated it's 40th year. It is an international exhibition that many regard as the most prestigious of the photography exhibitions which run in Britain each year. 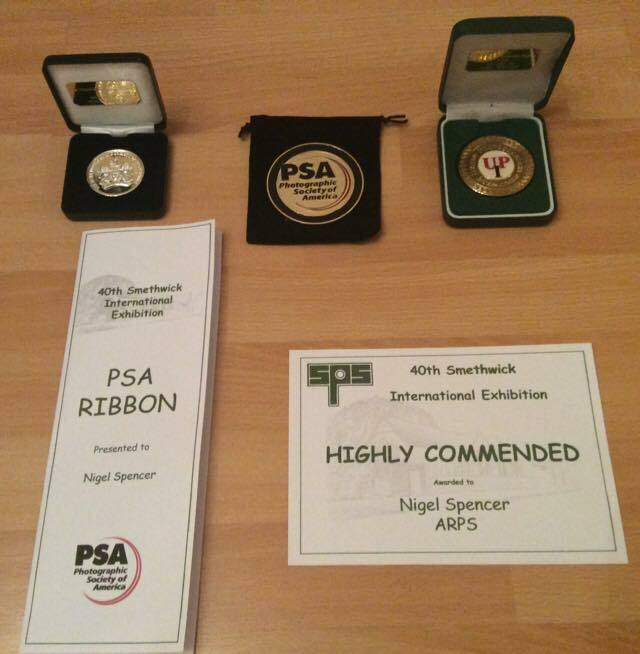 Six years ago I entered four digital images into the 35th Smethwick International Exhibition, it was the first external competition that I had entered. I completed the online entry, uploaded my images, paid my fee, and waited to see how I had done. A few weeks later, I was obviously pleased when I got an email informing me that three of the four images were accepted into the exhibition. I have entered this annual exhibition every year since, and was also very pleased when two years later, when I was awarded a selectors medal for one of my Nature prints. Last year, was the first year that I had entered and did not get any acceptances. During the five years from my first entry into the 35th Smethwick exhibition through to the 39th Smethwick, I had a total of 13 images accepted. 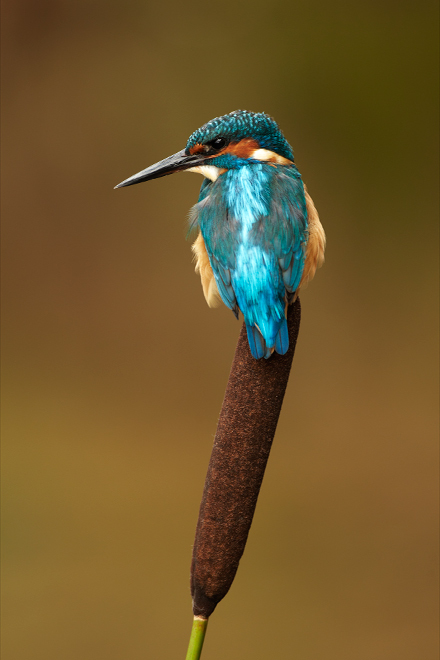 My Kingfisher on a Bulrush image was awarded a selectors medal at the 37th Smethwick International. Smethwick are proud to have run this exhibition for such a long time in Birmingham, and their 40th exhibition was open for entries at the end of 2014, it was judged at the end of 2014 with the actual exhibition held at their club rooms during early January 2015.
towards the end of 2014, i was a bit undecided if i was going to enter or not, having not had any acceptances the previous year, but as i had had some the previous years, i was persuaded to enter again this time. therefore I selected my images, uploaded the 8 digital images and arranged for the 8 prints to be posted a total of 16 images. These consisted of 4 Nature digital projection images, 4 Nature Prints, along with 4 Open digital and 4 Open Prints. After not getting any acceptances in the previous years 39th exhibition, you realise nothing should be taken for granted and I keenly awaited my results this year. When my results were emailed to me, I could not belive just how well I had done, and how much the exhibition selectors had liked my choices that I had entered. I had a total of 11 images accepted out of the 16 which in it self was a great result (particularly as I did not expect to do particularly well in the "open" section with some arty type images, which were only really entered as a bit of an experiment so see how they got on. I was however totally thrilled by the fact that I had won some medals in the Nature section. 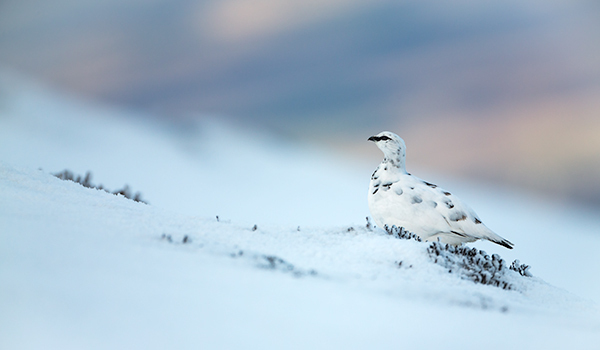 A United Photographer International (UPI) Gold Medal was awarded to my digital image of a Ptarmigan which was taken in Scotland earlier this year. 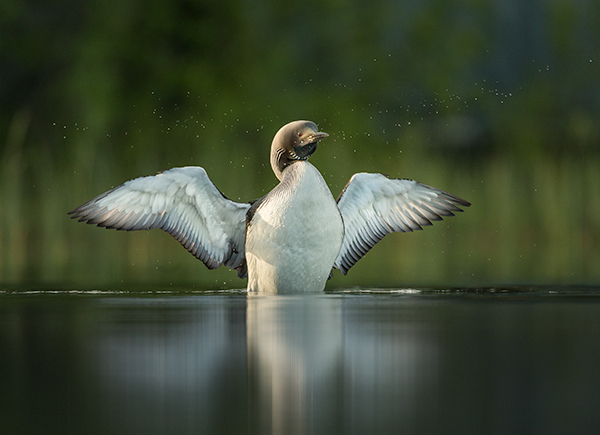 A Royal Photographic Society (RPS) Silver Medal was awarded to my digital image of a Black Throated Diver which was taken in Finland earlier this year. 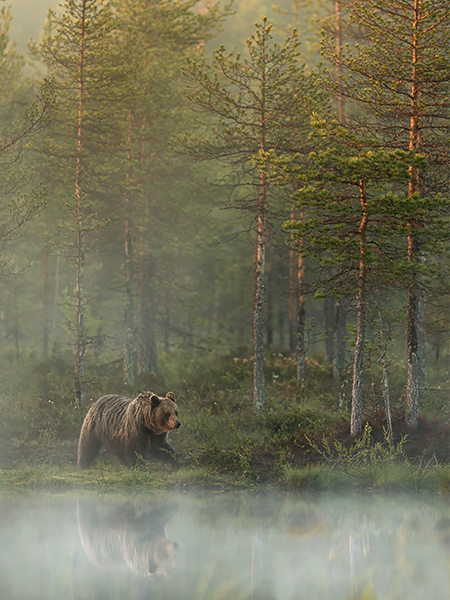 A Photographic Society of America (PSA) Gold medal was awarded to my European Brown bear print which was also taken in Finland earlier this year. 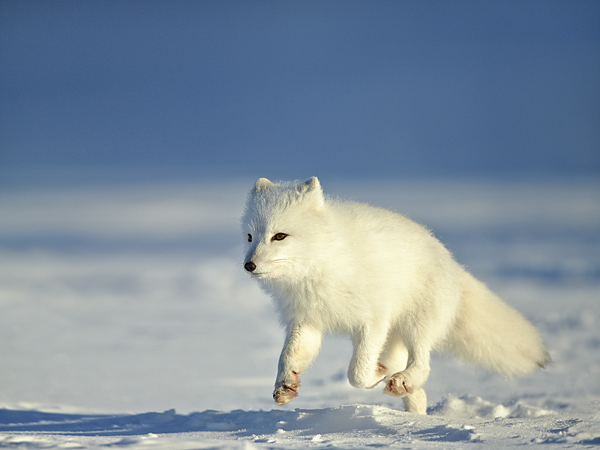 A PSA Ribbon was awarded to my Arctic Fox image which was taken in November 2013. 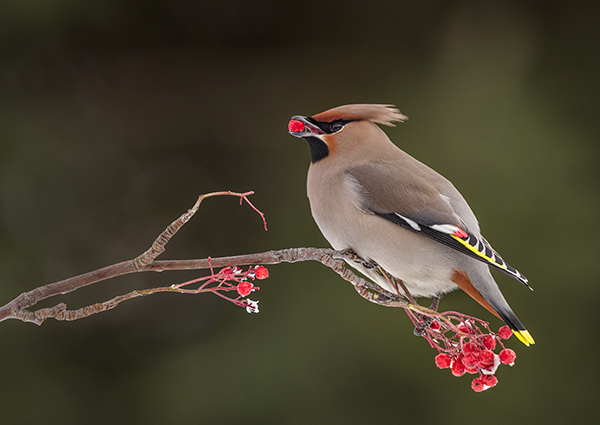 This image of a Waxwing taken a few years ago in Finland was awarded a Highly Commended in the print section. Like everyone who enters external competitions, you hope that one day you will get some good luck and that hopefully you will win a gold medal at some point. But to win three medals including two gold in the same competition is almost unbelievable. I booked tickets for Sue, myself, and some other members of my family to visit the exhibition on the opening day so that we could attend the Award presentation. As we all travelled north west to Birmingham, the weather was very poor, it was cold and the weather was wet. But it did not dampen our spirits one bit, we all had a great afternoon. We all enjoyed looking at the many images that had been accepted and were on display. The standard of photography throughout all sections was very high and we enjoyed looking at some great images. Each entrant gets a colour catalogue of the exhibition which shows some of the winning images, a list of the accepted images and other odds and ends including some exhibition statistics. 1083 people entered 10236 images into the exhibition, of these a total of 2394 images were accepted. The vast majority were in the "open digital section" which had 731 acceptances from 3067 images. I was therefore pleased to get four of my wild flower images accepted. one was a print which was on display and the other three were shown in the digital slide show during the afternoon. The Nature category was split into both digital and prints. Digital saw 439 people entering 1718 images with 433 acceptances whilst prints was much lower with 124 people entering 491 images and 112 acceptances. A check of the catalogue revealed that no entrants got four images accepted in the Nature prints, I was therefore pleased to have a total of seven nature acceptances (3 prints and 4 digital). It goes without saying that my obvious highlight was receiving the medals which are shown below.